Praised by critics as one of the best of the Frankenstein series, 'Son of Frankenstein' stars Boris Karloff in the role that made him a screen legend. Returning to the ancestral castle 25 years after the death of the monster, the son of Dr. Frankenstein (Basil Rathbone) meets Ygor (Bela Lugosi), a mad shepherd who is hiding the comatose creature. Hoping to clear the family name, he revives the creature and tries to rehabilitate him. His noble goals are dashed when Ygor sends the creature on a killing spree that spreads new panic in the village. I went into this one not thinking much as I was told that after Bride of Frankenstein the Frankenstein movies went downhill. But I must admit... this one I enjoyed very much. This one stars Basil Rathbone... who is famous for playing Sherlock Holmes. This movie is surprising long for the time period it was made... clocking in at 1hr. and 39min. Like the rest in this set... the quality... both audio and video... is surprisingly good.Unfortunately the Theatrical Trailer is lacking from this set. This is one of the first classic monster movies I ever seen.... and so far my favorite. I love this movie! I especially like how well done the Wolf Man makeup is done. The audio and video quality is top notch... just like most of the ones in the set I have watch so far. Lon Chaney, Jr. did an awesome job at playing both the tortured soul of Larry Talbot as well as The Wolf Man. Frankenstein's unscrupulous colleague, Dr. Bohmer (Lionel Atwill), plans to transplant Ygor's brain so he can rule the world using the monster's body, but the plan goes sour when the monster turns malevolent and goes on a rampage. While still enjoyable for what it is... the storyline for the Frankenstein movies is getting a little on the old side... which in turn is dampening my enjoyment somewhat. I believe that the rest of the movies with Frankenstein in them also has the other movie monsters in them as well... which I believe (well hope) will breath a much needed new life into the character. Up to this point the whole series was someone from the Frankenstein family trying to either make the monster live again... or improve upon him. So after so many movies like that... that particular storyline got a bit tiresome. How many movies are actually in that box? I want to try to complete my marathon today... but that would mean I need to watch 7 movies today... possible... but not easy. Of course if I need to I will continue on into Monday. Just hoping I won't have to. Bela Lugosi as Frankenstein's Monster and Lon Chaney Jr. as the cursed Wolf Man collide in one of the great classic horror films of the 1940s. Beginning as a moody chiller, director Roy William Neill sets the stage for an unforgettable clash. The resurrected Wolf Man, seeking a cure for his malady, enlists the aid of mad scientist Patric Knowles, who claims he will not only rid the Wolf Man of his nocturnal metamorphosis but will also revive the frozen body of Frankenstein's inhuman creation. 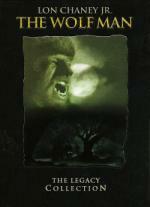 This is more a movie about The Wolf Man then it is about Frankenstein. Which I am sure is why it is in the Wolf Man set. It is a good story... I definitely enjoyed it. Though I will say I wish the fight between the Wolf Man and Frankenstein would have lasted a little longer then it did. The audio and video quality is very good for most the movie... though there were a couple major scratches on the film towards the end. But it was bearable... the scratches didn't last but about a second each. Even though this one did have the doctor making Frankenstein strong again... that was not the main theme of the movie... so that was a welcome change. Carpathian Count Alucard is invited to the U.S. by a young "morbid" heiress (Katherine Caldwell). Her boyfriend (Frank Stanley) and local officials are suspicious of the newcomer, who is interested in the "virile" soil of the new world. To me this is just an OK sequel. I enjoyed it well enough I guess... but it just wasn't as good as the previous ones. Count Alucard is played by Lon Chaney, Jr. and in my opinion... he is much better as The Wolf Man then he is as Dracula. Quality wise I have no complaints what so ever. Both the audio and the video is in very good condition. This spectacular retelling of Gaston Leroux's immortal horror tale stars Claude Rains as the masked phantom of the Paris opera house -- a crazed composer who schemes to make a beautiful young soprano (Susanna Foster) the star of the opera company and wreak revenge on those who stole his music. Nelson Eddy, the heroic baritone, tries to win the affections of Foster as he tracks down the disfigured "monster" who has begin murdering those who resist his mad demands. This lavish production remains a masterpiece not only of the genre, but for all time. I am sure it is no surprise here... but I just could not get into this one. Way to much music for me to get past in this one. Not that I am surprised... that is why after having it in my collection for 4 years (in a classics boxset) I have never watched it till now. I was however... surprised to see something made in the early '40s to be in color. Of course I am not all that familiar with the classics so really have no idea when movies went color. But hey... at least I did make it through the whole movie.... though I was glad when it finally was over. Deranged scientist Gustav Niemann (Boris Karloff) escapes from prison and overtakes the director of a traveling chamber of horrors. Pulling the stake out of a skeleton, he revives the infamous Count Dracula (John Carradine) and commands him to kill the man responsible for his imprisonment. He then finds the frozen Frankenstein Monster (Glenn Strange) and the Wolf Man (Lon Chaney Jr.) buried under the ruins of the infamous Frankenstein laboratory. This one I enjoyed. I liked seeing all 3 of my favorite classic movie monsters in one movie. Though I was a bit disappointed that there was in interaction between Dracula and the other 2 monsters... as they got rid of Dracula before they even found The Wolf Man and Frankenstein. No complaints on the audio/video quality on this one either... was really impressed how good it looks after all these years. 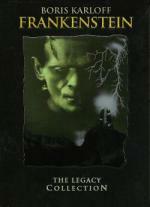 This one is really an average movie for me and it have nothing to do in the Frankenstein set. The Wolfman get all the focus and I don't like the Wolfman at all this is just a big cry baby. I've reviewed it in december and I was generous with my rating (2.5), I know that Ya_shin have it in one of his marathon and the rating is not really high too. The citizens in turn-of-the-century London are terrified and Scotland Yard is baffled by a mysterious string of bloody killings in the city's most infamous park. In a nearby estate Phyllis Allenby (June Lockhart) fears that the "Allenby Curse" which led to the death of her parents has now turned her into a "she-wolf." Haunted by demons of mayhem and worried she's going insane, Phyllis breaks off her engagement with her fiancé (Don Porter). Determined to prove that the woman he loves couldn't be a murderess, he sets out to unmask the real killer. This one... while a good mystery movie... it made for a bad monster movie. I not really sorry I have it... because on it's own it is a pretty good movie... just not sure it should have been included in this set. I understand why they included it... just not so sure I agree with them on it. As I said... it is an enjoyable movie... and June Lockhart was good in her role... as well as an attractive woman. So that helped the enjoyment some as well. I have to say... even though they really did a good job remastering the movies... I would have liked to seen some like care given to the Theatrical Trailers. The trailer for this one looked pretty bad.